A tragic coal mine accident led to over 70% of mines shut for safety investigation in Shannxi. In Jan-19, a roof collapsed at the Lijiagou coal mine in Shenmu county in Shannxi province, resulting in 21 dead out of 87 people worked underground. The deadly accident triggered a broad suspension on mining activities in the region. More than 70% of coal mines with an annual capacity of 130mn tonnes (over 4% of domestic thermal coal supply) were shut down for safety checks. The annual capacity in the Shenmu mine is estimated to be 250mn tonnes which account for 50% of capacity in Shannxi province. The roll-out of safety investigations was extended to the neighbour provinces such as Shanxi and Inner Mongolia and is expected to last till Mar-19. Lower 2019 domestic production target. In Jan-19, the Indonesian government set the 2019 coal production target at 480mn tonnes, 5mn tonnes lower than that in 2018. The goal is to stabilise the global coal price, according to the Energy and Mineral Resources Ministry. As of 28-Dec-18, total domestic output reached 456mn tonnes (94.02% of the annual target in 2018). 115mn tonnes of coal was estimated to be sold through the domestic market obligation (DMO) scheme in 2018. Rains stalled thermal coal production in South Kalimantan. In Jan-19, thermal coal production was affected by rains, delaying loading schedules by six to nine days. Mining in the open pit mines halted until rains subsided. Spot cargos were in short. Meanwhile, some suppliers downgraded calorific value due to higher moisture levels. 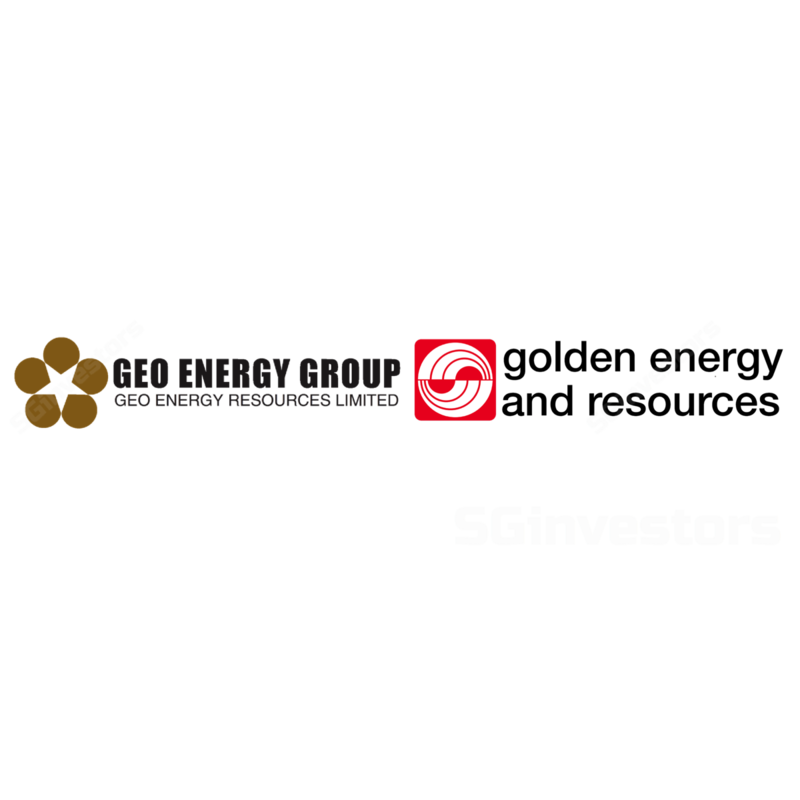 Both GOLDEN ENERGY AND RESOURCESLTD (SGX:AUE) and GEO ENERGY RESOURCES LIMITED (SGX:RE4) have mining operations in this location. The coal mine accident created a regional supply shortage. The spot coal price at Yulin area where Shenmu county is located spiked up (+RMB150/tonne in 10 days to RMB700/tonne). There are now expectations of significant increases in coal imports and relaxation of import restriction. Qinhuangdao 5,500 GAR FOB spot price rose by RMB11/tonne to RMB591/tonne in Jan-19, see Figure 5. However, the price rebound is so far limited because coal demand is weaker. Firstly, January and February are low seasons for coal demand due to the long holiday of Chinese New Year. Secondly, this winter is warmer than expected. Lastly, domestic output grew slightly in 4Q18, and port coal stockpile remained sufficient, see Figure 1 and 6 in attached PDF report. Therefore, we believe the accident supports the coal price at the current level rather propels it back to an uptrend in the near term. Lower production target is in line with the expectation of the slow-down of the global economy in 2019. The biggest uncertainty is whether China will relax the import restriction after the winter season. In 2018, China imported coal totalled at 281mn tonnes with a 3.9% y-o-y growth even though the authority has been implementing the restriction directive. Expect 27mn tonnes of production in 2019 (up 35% y-o-y). Multiple upward pressures on cash cost. The acquisition of Stanmore brings diversity to the group. Expect 10mn tonnes of production in 2019 (up 40% y-o-y). Cash cost will be higher this year. Look forward to a new offtake for TBR mine and an acquisition of a new mine. In Sep-18, applied for dual listing in Hong Kong. We are positive on the sector. The ramp-up of production is expected to be above 35% for each of the two coal counters this year while the expected average coal price (4,200 GAR: US$ 39.5/tonne) in 2019 will be 10% lower than that in 2018. Therefore, the overall performance will continue to improve due to the growth of output offsetting the decline in ASP. We maintain an OVERWEIGHT rating on the coal sector.